Artist Peyton Shayler is not one to hold back. 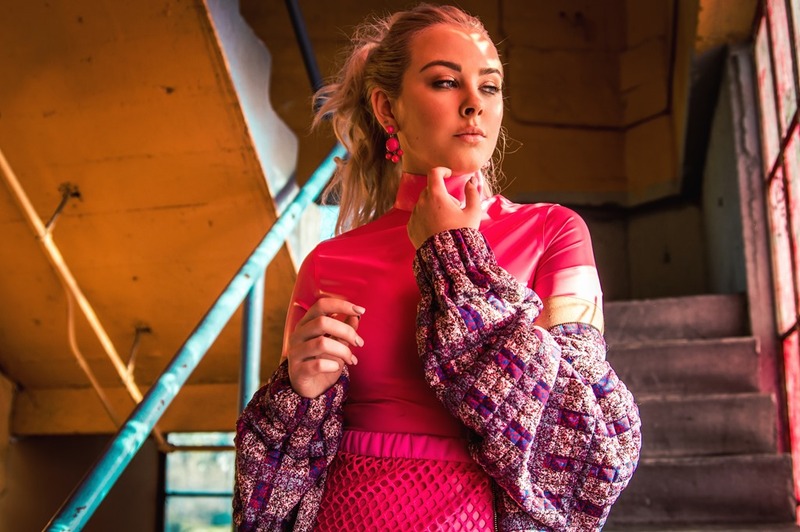 Her latest single ‘Want Me to Love You’ is making sizeable waves as it cannonballs directly into the deep end of the current dance/pop pool. In the process, this powerhouse vocalist and gifted songwriter is fixing her name to the top of EDM’s “names you need to know in 2019” hot list. Dance music fans around the globe are feverishly embracing Peyton, and her chart success proves it. Her breakthrough song ‘Needed Space’ glided on a summery chill-hop vibe all the way to number 7 on the UK Music Week Charts. ‘Want Me To Love You’ is poised to reach even greater heights. A delicious blend of infectious dance production and soaring vocals, ‘Want Me To Love You’ recently hit number 18 on the Billboard Dance Club Chart. ‘Want Me To Love You’ is also a timely anthem of empowerment for women who are the boss of their own show. “You want me to want you/ I don’t/ You say that I need you/ I won’t,” Shayler sings while confidently dismissing a try hard admirer. Shayler’s contagious style fits right in among the heavy weights of trending EDM where hypnotic groves, monster hooks, and unforgettable storytelling dominate the charts. Drawing from influences like 2019 Best New Artist Grammy Winner Dua Lipa, Alison Wonderland, NOTD, and Marshmello, Peyton brings her unique melodic delivery and inescapable artistry to the party. The result leaves no choice—you must dance! Although she is only 15 years old, Peyton is already a showbiz veteran. She first appeared in a stage production of Les Misérables at age nine and penned her first song when she was 13. The Los Angeles native is also coming off a recent 2018 tour in the UK, garnering strongly positive publicity while exposing her talent to an international audience. This isn’t the typical résumé of someone too young to legally drive. However, the depth of Peyton’s experience brings a sophisticated maturity to her music rarely heard from artists of any age. And the party is just starting. Shayler has several forthcoming singles set to expand on the chart-rising ‘Want Me To Love You’. With no end to her wave-making in sight, Peyton Shayler is the artist you will put on repeat over and over in 2019 and beyond.